يقع Mandolin Resort في الكسندرا هيدلاند, صن شاين كوست, هو خيار شائع بين المسافرين. يمكن من هنا للضيوف الاستمتاع بسهولة الوصول إلى كل ما تقدمه هذه المدينة النابضة بالحياة. كما يمكن الوصول بسهولة إلى حديقة اليزابيث دانييلز, منطقة ماروتشيدور, GPCare Medical Centre. إن الخدمات التي يقدمها Mandolin Resort تضمن للنزلاء إقامة مريحة. هذه بعض الخدمات الموجودة في هذا الفندق: تسجيل وصول/خروج سريع, تخزين الأمتعة, صف السيارات, التوصيل من وإلى المطار, غرفة عائلية. في Mandolin Resort غرف نوم يزيد عددها عن 53 صممت بذوق وعناية لتوفر لك كل وسائل الراحة . بعضها يحتوي أضاً على تلفزيون بشاشة مسطحة, غرف لغير المدخنين, مكيف هواء, مكتب, شرفة/ تراس. صممت خدمات الاستجمام في الفندق والتي تتضمن حوض استحمام ساخن, ساونا, مسار جولف - ضمن 3 كم, حمام سباحة خارجي, ملعب للأطفال لمساعدتك على الاسترخاء والراحة. يحظى فندق Mandolin Resort بموقع ممتاز وخدمات يصعب منافستها. The staff were helpful and friendly. We were on level 6 which had a lovely view of the beach. Lots of cafes close by and surf club right across the road. Not the most modern appartment but well kept and clean. View. Proximity to beach & parkland. Facilities were far better than usual for the price. The apartment was dated however the view doesn't date & the common areas were very well modernised. Also the apartment was well stocked for independent cooking & the high quality internet was great for watching our own Netflix shows instead of the commercial TV channel rubbish. 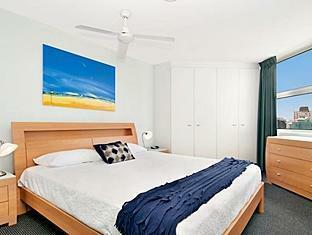 The hotel is in a great location straight across form the beach and surf club. We played mini golf and spent great family time in the pool area. Wish we had more time to stay one night was not enough. The hotel staff were very friendly and helpful. Great place to stay, beautiful location. Building is getting a little tired it has been well kept and was clean and tidy. The 2 nights/3 days that we spent there was great, straight across from where we needed to be at Surf Slam! 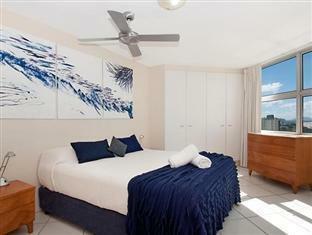 Proximity to a surfing beach, quiet - even allowing for being on a main road, just a comfortable ploace to stay. We stayed at Mandolin for 9 nights, although an older resort was very clean and had all the essentials. The kitchen was well equipped and the room was spacious. The pool and surrounds were well kept and the childrens pool appeared to perfect for children. The surf club was directly opposite and there were several good quality restaurants nearby. 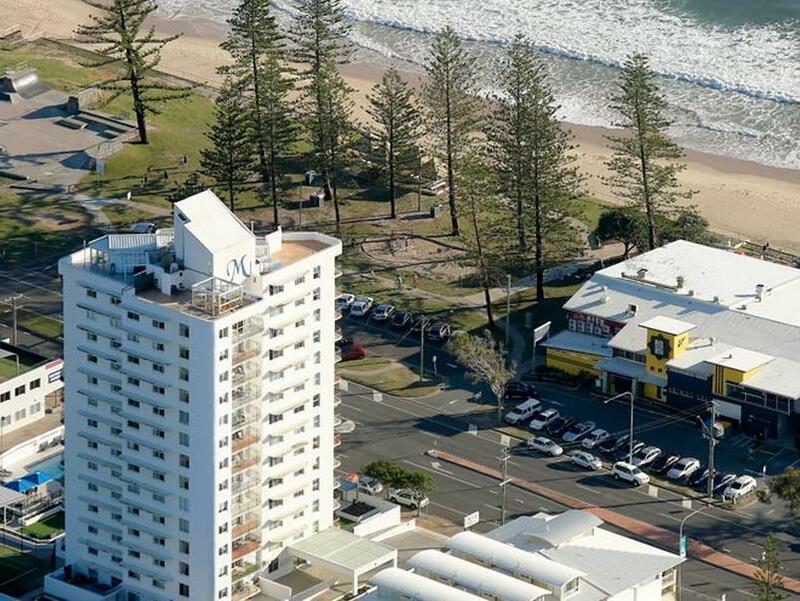 Great location for the Sunshine Coast Marathon - just across the road from the race precinct. Would not stay again. Very expensive for the quality. The whole place looks tired and run down. No Wi-Fi only internet with a cable. Dated decor. We went there due to work commitments and booked very late. The staff were at dinner when we arrived and came back especially to book us in. The lady was really friendly and gave us a great room on the 12th floor. It was also a two bedroom unit instead of a one bedroom unit. We were treated very well and we thank the staff for their efforts. The view was spectacular and the room was wonderful. Will we be back? - Absolutely yes. Loved the location, surf club across the road, beach front, love the view, room is not thoroughly modern, but still neat, tidy and maintained. If you want a 5 star stay, perhaps not here. Great price for 2 b/room, will be booking here again next year. Has a heated pool, did not even use, when the patrolled beach is over the road. Really enjoyed our stay. Alexandra Headland seemed to be central to all the sights and things to do.